SMITHSONIAN INST. ON CROSSCURRENTS, 8/10 – Doggedly Yours… Howling, Humor, and History. SMITHSONIAN INST. ON CROSSCURRENTS, 8/10: It has been called “America’s attic,” the Smithsonian Institute was founded by the U.S. Congress on this date in 1846. 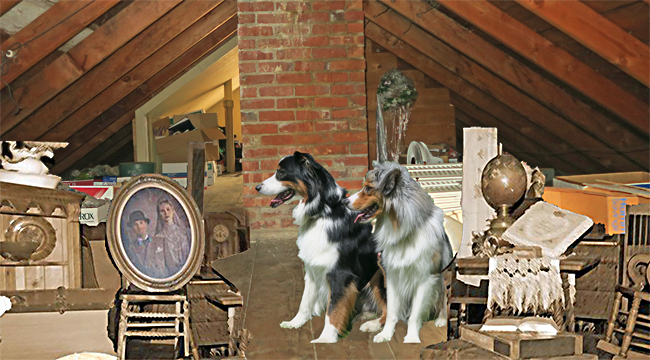 Gavin and Wyatt have discovered a prized item in their attic. You can celebrate the Smithsonian attic of memories as John examines the KRNN archives for music on Crosscurrents, 8/10 at 8 a.m.